The Oregon Legislature just passed the “Facebook bill.” We are celebrating its passage this week because it was one of the Oregon Prosperity Project’s job-creating priorities going into the 2012 legislative session. It’s an issue we’ve been talking about since last October because it so clearly demonstrates a key principle for economic growth: Government does not create jobs, but it can provide an environment of tax and regulatory certainty that attracts investment and job creation. In this case, the Oregon Legislature made the right call and provided tax certainty to Facebook and others like them who might also be looking to invest in our state. Rarely do we get the satisfaction of seeing a good decision yield dividends so quickly. But the legislature’s decision to give tax certainty to Facebook is resulting in even more investment and job creation almost instantaneously. It has been confirmed this week that Apple, Inc has purchased a 160-acre parcel of land in Prineville. It is widely believed that it will be the location of a data center. The purchase put $5.6 million into the coffers of Crook County this week – a great boost for a county currently saddled with a 15.3 percent unemployment rate. Many believe that Apple was looking for a signal from the Oregon legislature that their data center would not be subject to unanticipated intangible taxes. They got it. If the Apple data center provides comparable benefits to Central Oregon as the Facebook data center did, it will be another shot in the arm for the region. A recent analysis by ECONorthwest, an Oregon-based economics consulting firm, showed that Facebook’s ongoing presence in Central Oregon accounts for $21.3 million in new economic activity, $5.5 million in new personal income and 111 new jobs with wages 35% above the regional average. During the legislative hearings on the “Facebook bill,” we were struck by the testimony of Mr. Roger Lee, Director of Economic Development for Central Oregon (EDCO). The legislature did the right thing, and as a result, now Apple is adding to the Oregon economy with its own investment in Central Oregon, and Oregonians will reap the rewards with more jobs and more personal income – which translates into well-funded schools and public services. This is meaningful economic growth that likely would not have occurred had the legislature not made the right decision. When a state agency threatened to saddle Facebook and others with unanticipated taxes, it introduced uncertainty in the marketplace, and Oregon stood on the verge of losing private sector investment, jobs and income. When the legislature re-established tax certainty for these companies with the “Facebook bill,” it re-opened the door for investment and job creation – and the results are already materializing. 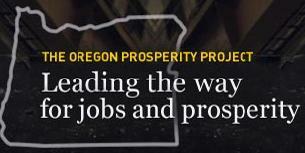 It’s a lesson with huge implications for Oregon’s economic growth. Will Oregon’s elected officials and regulators heed the long-term lesson?